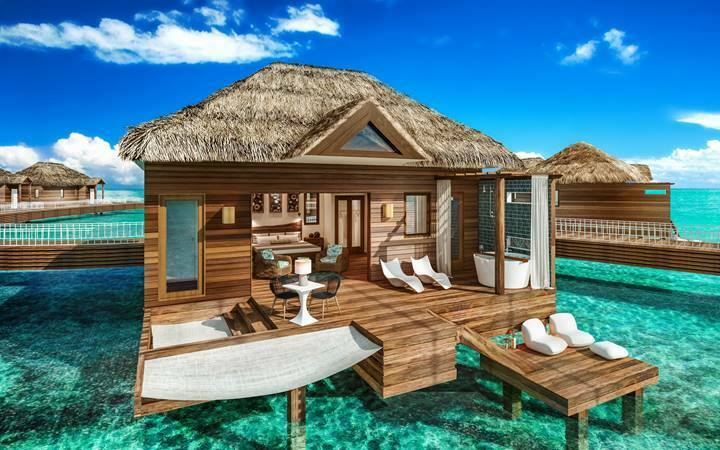 12 More Overwater Bungalows Coming To Jamaica! 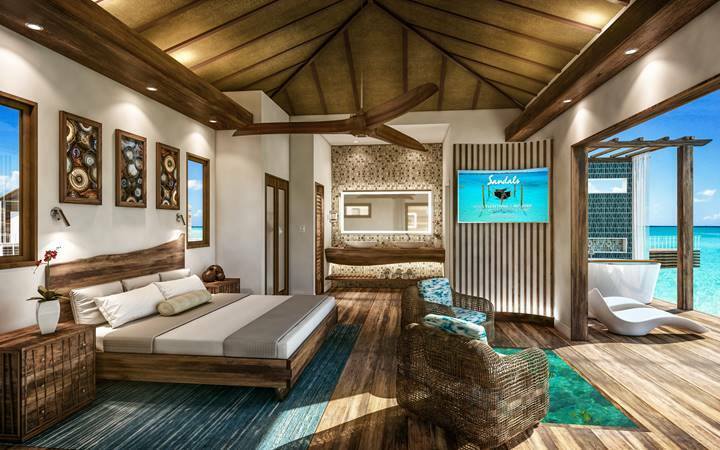 If you're as excited as I am for the 5 new Overwater Villas at Sandals Resorts opening on November 15th, 2016, then you'll be just as excited as I was to learn that Sandals isn't stopping there. 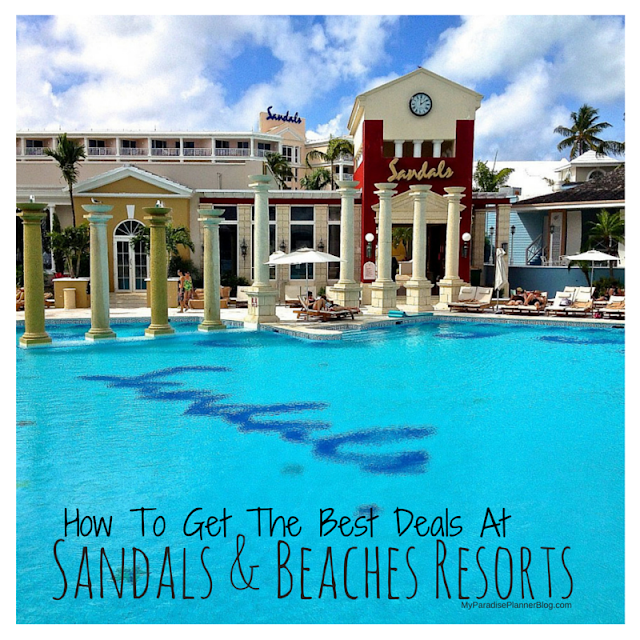 Due to the high demand of the Overwater Villas, Sandals has decided to add additional smaller villas off of their private island at Sandals Royal Caribbean in Montego Bay, Jamaica. 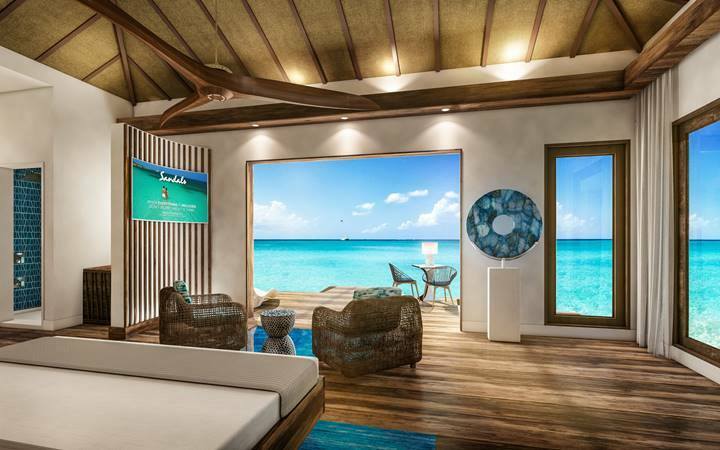 There will now be a total of 17 suites, 5 Overwater Villas and 12 smaller overwater bungalows, for guests who want to experience the luxury and exclusiveness of overwater living on their next Caribbean getaway. These bungalows will be smaller than the Overwater Villas Sandals is currently finishing up building in the same location. These bungalows will have less "bells and whistles" but still offer guests the "Sandals suite life" so-to-speak. They will offer many of the same features as the Overwater Villas such as the outdoor sitting areas, outdoor soaking tub, glass flooring, and the same interior design. One of the main differences will be that these bungalows won't have a private plunge pool, but they will have a cool overwater hammock. Also, they will be smaller in overall size. Sandals rendering of the interior view. Sandals rendering of the view from the interior looking out to the deck. These gorgeous over-the-water bungalows convey an intimate connection to the Caribbean Sea and deliver complete immersion of the fine turquoise waters and rich marine life below. Glass vision floor panels and lit water ensure you can enjoy undersea views at any time. Couples can also admire the beauty of the ocean from their private outdoor Tranquility Soaking Tub for two or over-water hammocks. Every bungalow captures the height of luxury with hardwood floors, vaulted ceilings, custom crafted king-size beds adorned with soft linens and plush pillows for the ultimate sleep experience. Inside, each bungalow is also equipped with a smart TV and a large ceiling fan to stay cool while enjoying fresh Caribbean breezes. The bathrooms are equipped with his and hers sinks, a large backlit mirror adorned with mosaic tile, and a walk-in rain shower. Outside, your private patio is also equipped with an extended sun deck, outdoor shower, sun loungers, and a bistro set for two. Butler Elite service, which handles every detail of your vacation with unobtrusive grace, 24 hour room service, and a private water taxi to take you to and from the mainland are all included to complete your over-water vacation. When And How Can I Book These Overwater Suites? The larger Overwater Villas are now available to book as of March 11, 2016, for travel from November 15th, 2016 onward! 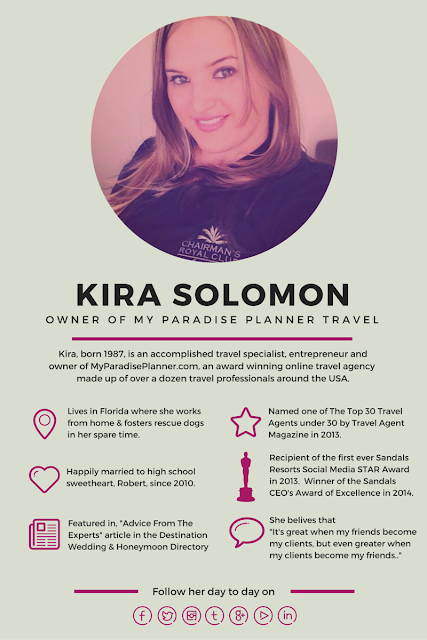 The Overwater Bungalows are available to to book as of September 13th, 2016, for travel February 1st, 2017 and beyond!